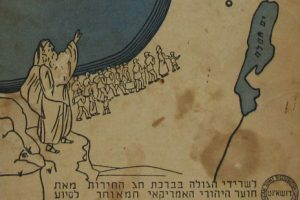 How Ralph Goldman’s 1991 visa for Soviet Union opened new possibilities for JDC to reconnect with Soviet Jews. 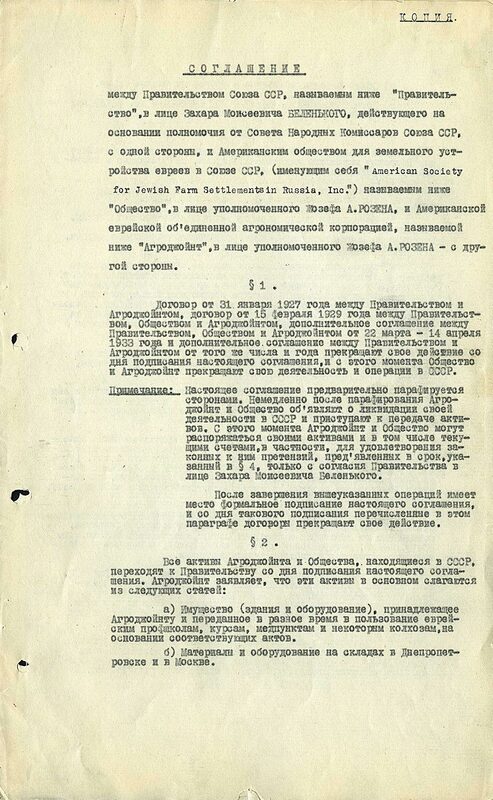 The document pictured below represents the opening of a new chapter in JDC’s work in the former Soviet Union. In 1991, a multi-entry visa was issued to Ralph Goldman, allowing travel among Washington, Moscow, Leningrad, Kiev, Minsk, and Vilnius, between July 1, 1991 and April 5, 1992. This visa reflects the outcome of Goldman’s extended and sensitive negotiations, during his second term as JDC’s Chief Executive Officer from 1986-1988, with Soviet officials in the Department of Religious Affairs, successfully navigating JDC’s return to what became the former Soviet Union and its efforts to rebuild local Jewish community life and to provide a foundation for the future. 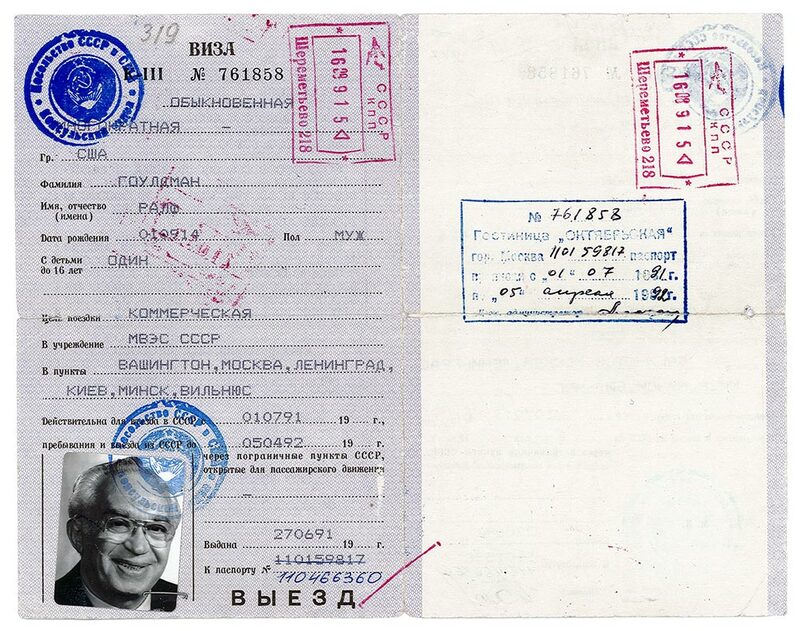 Ralph Goldman’s multi-entry visa to the Soviet Union, 1991. Courtesy of the JDC Archives. This resumption of JDC’s activities in this region came 50 years after the liquidation of its Agro-Joint project (American Jewish Joint Agricultural Corporation), a program formed with the consent of the Soviet government in 1924 to provide vocational training to Jews in Ukraine and the Crimea to render them “productive” farmers who could grow their own food while gaining full citizen status and rights. 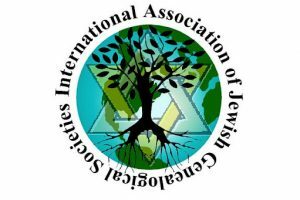 Agro-Joint provided support to: some 70,000 Jews as farmers in 215 collectively-run settlements; close to 60 Jewish mutual aid societies in cities and small towns throughout the Ukraine; and 54 medical-aid societies in the region. 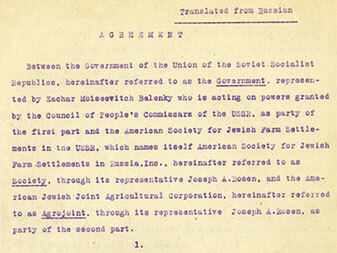 Agreement between Agro-Joint and the Government of the USSR, dated October 1, 1938. 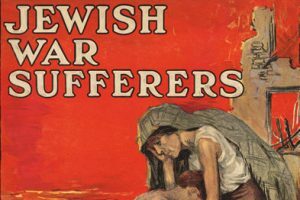 Throughout the early and mid-1930’s, conditions worsened for Agro-Joint staff and clients. Soviet authorities continually reduced Agro-Joint’s role, taking over its medical programs and factory schools. At this juncture, many Agro-Joint leaders and colonists were arrested as part of the Great Terror orchestrated by Stalin. 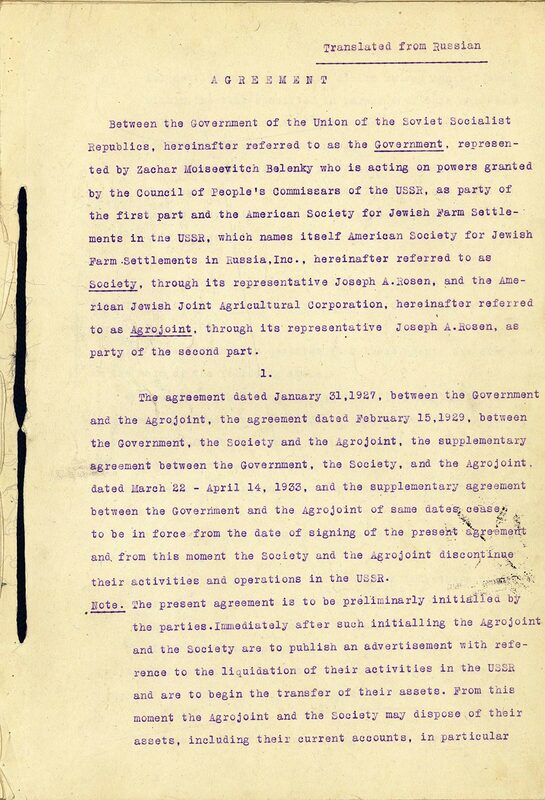 On October 1, 1938, Agro-Joint signed an agreement which states: “From this moment the Society and the Agrojoint discontinue their activities and operations in the USSR,” thus ceasing its operations in the Soviet Union.